STAMFORD, CT and Uppsala, Sweden – HARMAN International Industries, Incorporated (NYSE:HAR), the premier connected technologies company for automotive, consumer and enterprise markets, and Dirac Research AB, an audio technology company specializing in high-performance digital sound optimization, today announced a strategic partnership to extend Dirac’s digital audio solutions and superior tuning technology to HARMAN’s best-in-class automotive audio and infotainment system applications. Through this partnership, HARMAN will also become a worldwide distributor of Dirac’s sound technologies to automotive sound system suppliers and car manufacturers, bringing together HARMAN's legacy of premium audio and Dirac’s mission to develop technologies for the ultimate sound experience. This collaboration builds on HARMAN’s existing partnership with Dirac that provides the Bowers & Wilkins premium in-car surround system for the Volvo XC90 with Dirac’s advanced sound optimization technology Dirac Unison™. HARMAN will implement Dirac’s advanced digital audio technologies to enhance the in-car entertainment experience for consumers and enable automakers to further differentiate and elevate their sound systems across brands and car lines. HARMAN automotive partners will now have the opportunity to license Dirac’s advanced technologies for sound optimization directly within eligible models, including room correction, sound field synthesis, active room treatment and more. 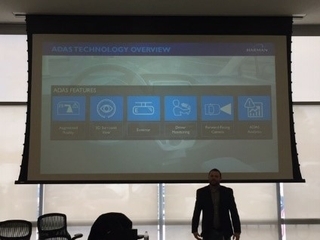 Additionally, HARMAN will work closely with Dirac R&D engineers to ensure seamless integration of Dirac’s existing and new technologies into automotive audio and infotainment system applications. Dirac is a world-renowned audio technology company on a mission to invent the future of sound. Dirac’s team of engineers and scientists deliver optimized sound solutions for mobile, automotive, residential and commercial environments through inspired innovation and a keen sense of evolving market trends and demands. Dirac’s digital sound optimization technologies have been adopted by some of the most respected and recognizable electronics manufacturers spanning the globe, achieving dramatically improved sound quality and a shortened time-to-market. Dirac Research maintains its headquarters in Sweden and has representatives in Japan, USA, Korea, Germany and China. www.dirac.com.